ENWO will offer only certified coach courses in the member states. Education for new sports or new modules for existing programs have to be certified at ENWO education convention. This workshop will take place alternating in one of the member countries. On this convention the member countries have the chance to certificate new programs and mastertrainers too. The aim is to bring together modern scientific findings from the field of medical prevention. The latest research results are presented not only to scientists, but also in a comprehensible form to the general public. 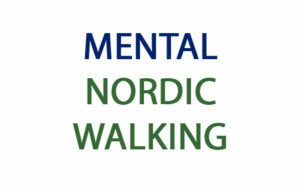 New Walking is a modern training system derived from the experience of Nordic Walking. It is an extension of the idea of ​​sport for all, based on the latest research and current practice of coaching. Generally, new walking benefits from the experience of IT and marketing professionals, running researches on implementing applications and mobile devices while running and monitoring sport trainings. It is a new fashion focused on maintaining in good health by means of simple equipment used both indoor and in the nearest surroundings. The main aim of new walking is to move and strengthen a shoulder girdle placed on a well trained pelvic girdle. New walking is a sport with outdoor elements, additionally possible to be implemented indoors. New walking is a comprehensive training system influencing positively most human muscles with a special emphasis on the muscles of the shoulder girdle and pelvic girdle. 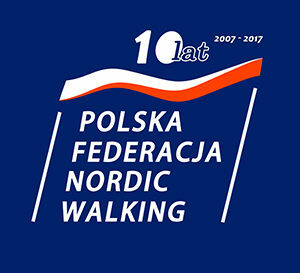 New walking is a functional training – imitating the natural activities – carried out by a man before the era of computers. The training New Walking particular attention to the postural muscles responsible for the correct person’s posture . The leading equipment l is Nordic walking poles , bungee pump and the pro-x-walker. The New Walking training applies the classical methods of teaching regular, classic Nordic Walking, Bungy Pump, pro-x-walker, smovey and others pieces of equipment, especially shaping shoulder girdles and postural muscles. Health level of New Walking is dedicated to people having sedentary lifestyle with particular emphasis on eliminating metabolic syndrome. Health training is necessary to maintain physical fitness. Fitness level of New Walking is a training system, addressed to the people who train regularly. Sports level of New Walking is a system which allows athletes to complete training cycles designed particularly for them as well as participate in sports competitions. New Walking activates large social groups, meets the needs of direct contacts among people, facilitates interpersonal relationships, develops human responsibility for the environment, saving energy, and other important local and global issues. New walking is a platform for the development of sport for all. It allows people to adopt innovations and scientific advances related to the out-door sport. It is an open concept, adapting to changing conditions while maintaining the main objective.